These two buses run from the Bad River Reservation through Ashland, Washburn, Bayfield, to the Red Cliff Reservation and back. 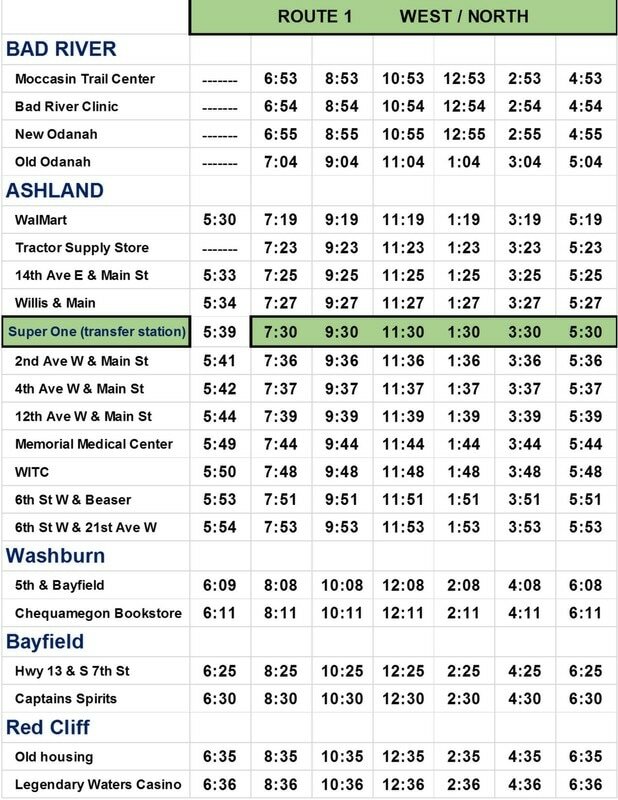 This service can also provide transfers to and from Mellen, Ashland City and the Blue Goose buses; riders can also connect to the Red Cliff and Bad River Transit systems. 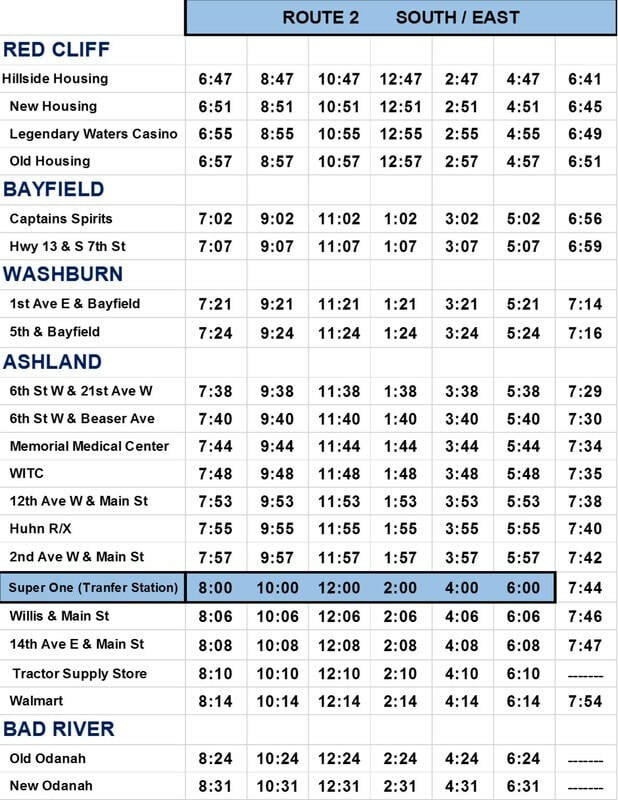 The Route 1 & 2 buses have designated stops (scroll down to see the schedules). These buses will make safe stops if flagged down along their route. We advise all riders to call ahead if they know when and where they would like to be picked up. ​Call: 715-682-9664 to schedule your ride. 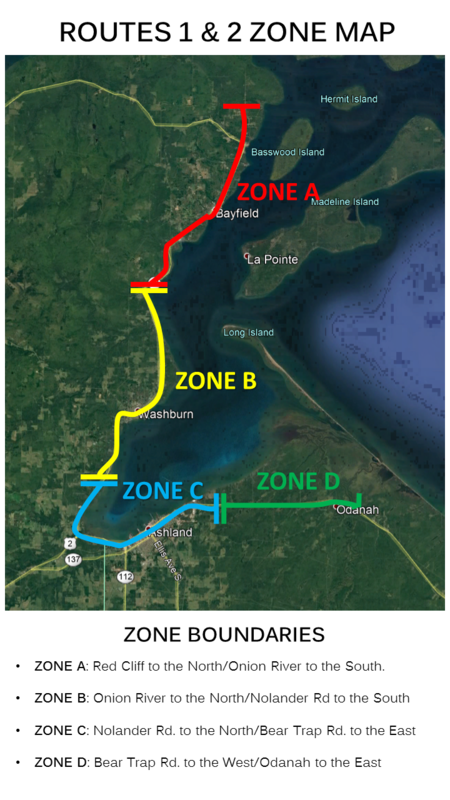 Download the brochure for this route below! Fares on BART Northern routes operate using a zone system. A rider's fare increases with each zone that they travel through. Rider's can choose between either cash fares, volume passes and monthly passes. Below are tables with all rates and a map with all zones. The Bus system runs 5:30 AM to 8:00 PM, Monday—Friday at two hour intervals.